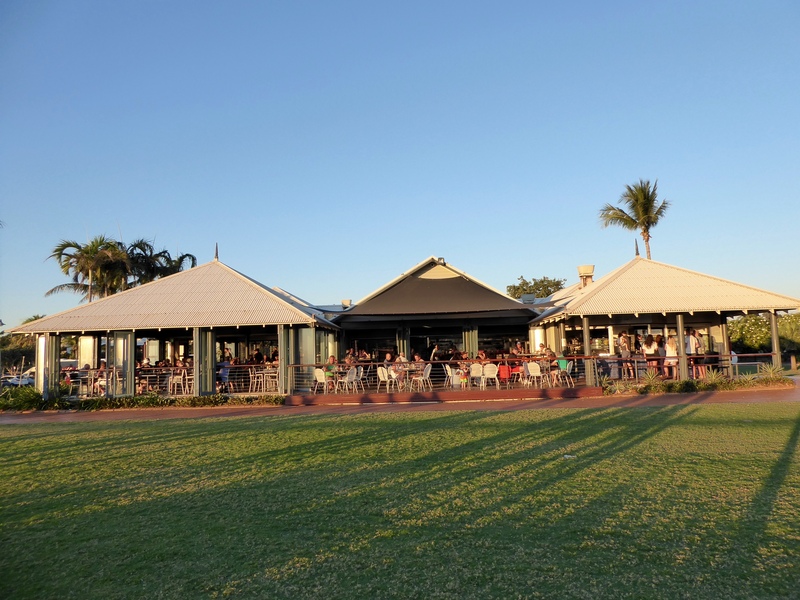 Zeb, Eider and the humans arrived in Broome, Western Australia. 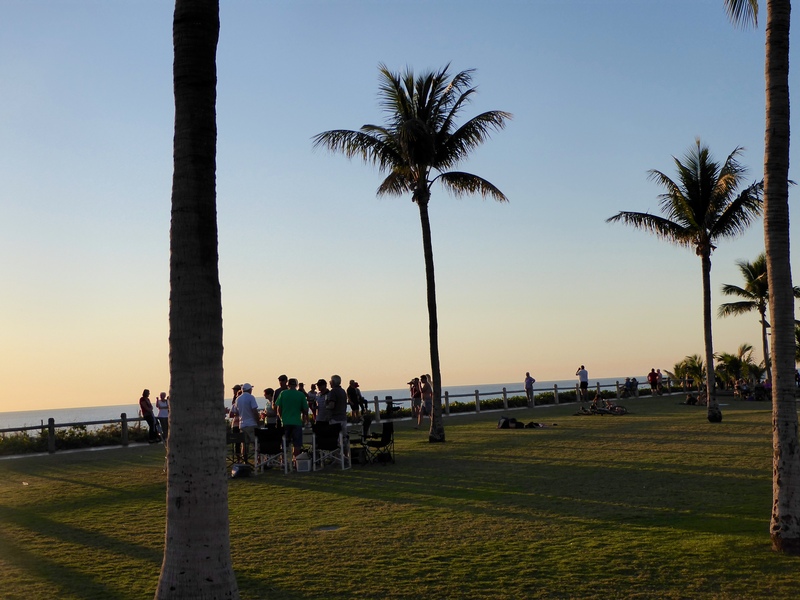 After getting a place to sleep, we headed to Cable Beach. 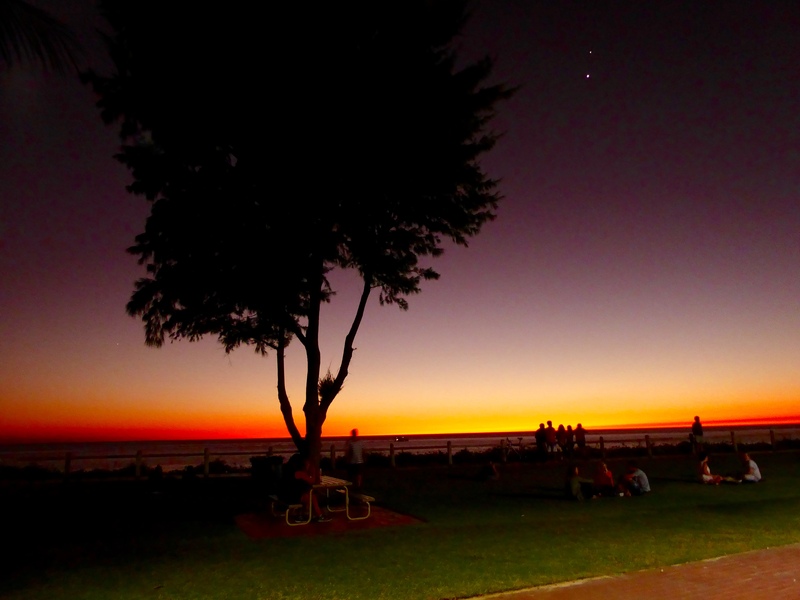 Broome is on the Indian Ocean and well known for beautiful sunsets. We did not want to miss it. 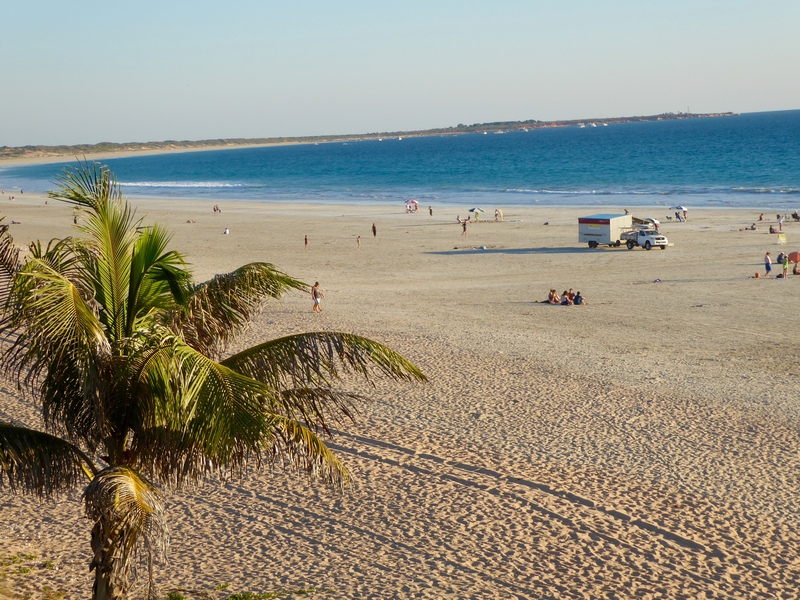 Cable Beach is a very wide beach. 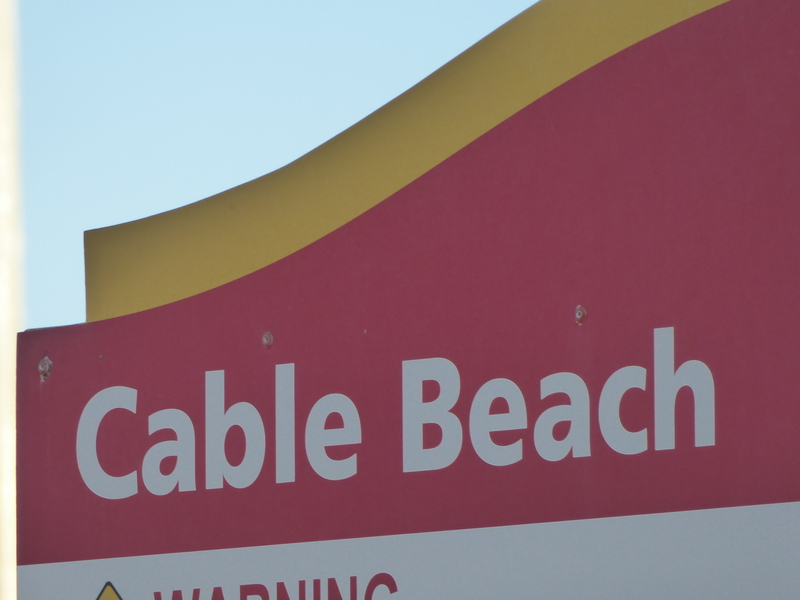 Cable Beach pleases swimmers, sunbathers, and even sailboats. 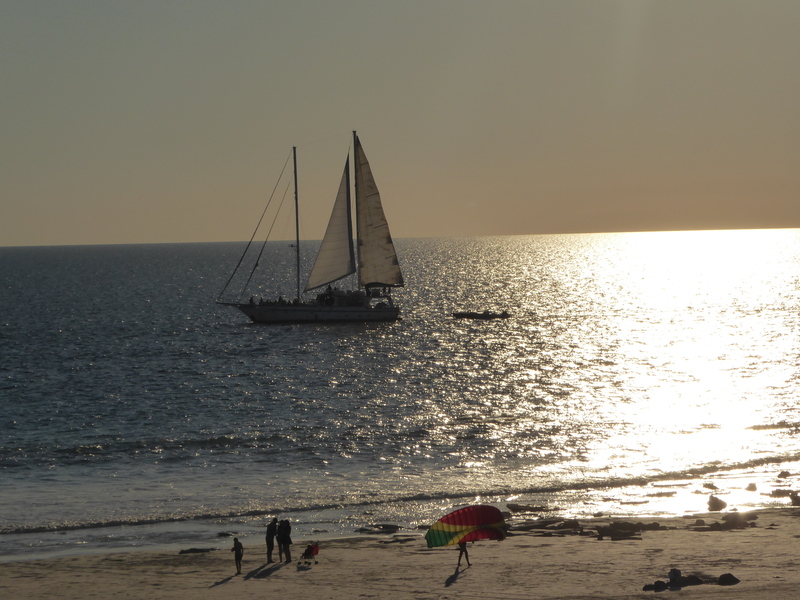 Sailboat and people on beach. Zander’s is the main restaurant on the beach. 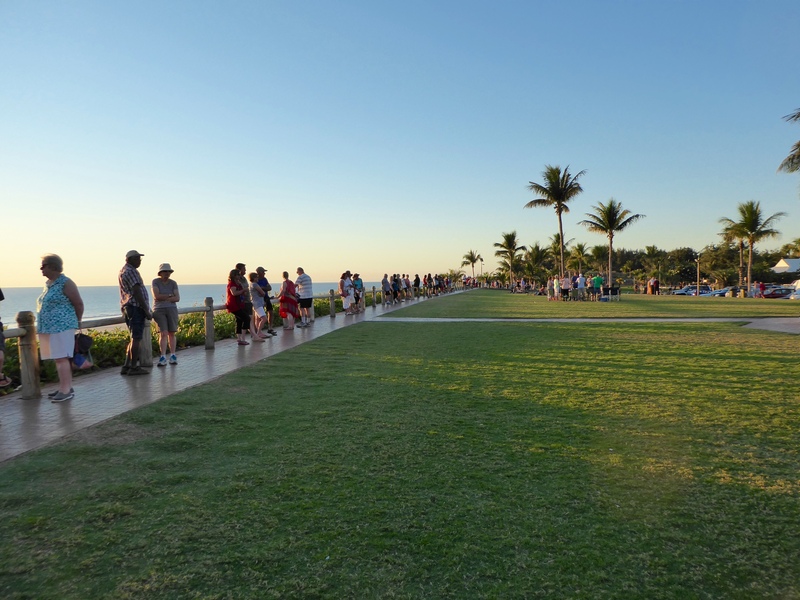 As you can see, this is a popular gathering place to watch the sunset. At Zander’s you can eat in the main restaurant and watch the sunset. Of course, you will pay for this option. We sat in the restaurant, since we wanted the full experience. Hamburgers cost about $20 US, but the location was well worth it to us. The part on the far right, is for ordering take away food from Zander’s, at a lower price. You can eat your food while sitting on a few benches outside. Everyone is ready to watch the sunset. 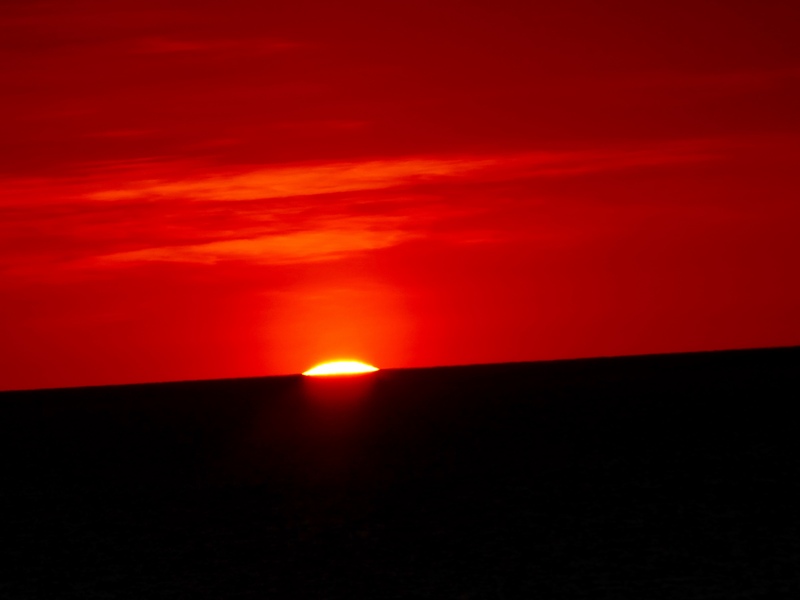 From the time the setting sun touches the water until it is completely gone is only 90 seconds. Now, even with the sun gone, this is still a beautiful place and the weather was perfect, so many people still linger here. It is difficult to leave. 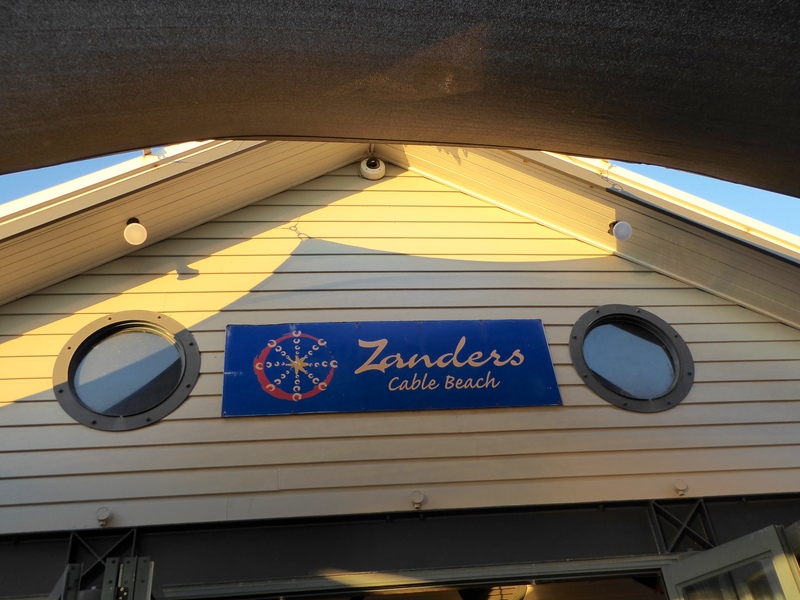 We are so happy that we ate at Zander’s and we able to see the famous and beautiful Cable Beach sunset. We hope you will visit here soon. It is wonderful. 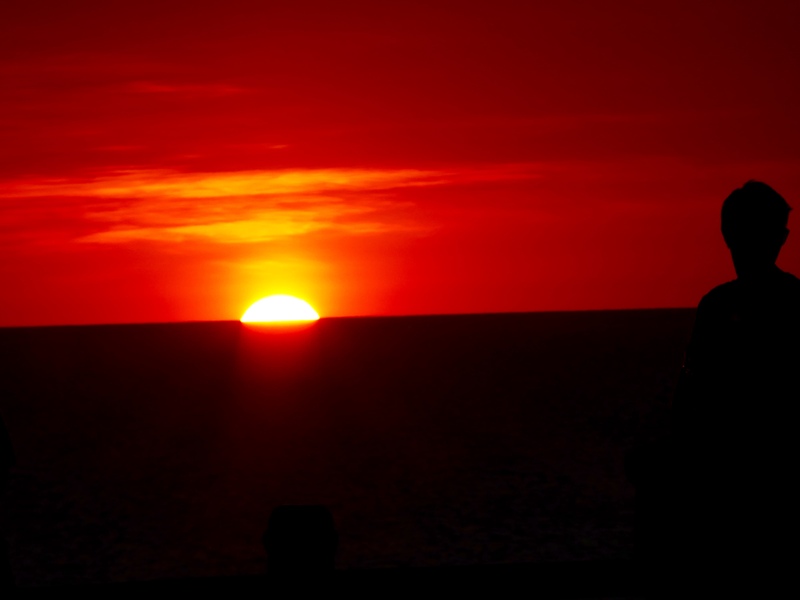 This entry was posted in Australia, Uncategorized, Western Australia and tagged Broome, Cable Beach, Colorado Traveling Ducks, Indian Ocean, sunset, Western Australia, Zander's. Bookmark the permalink. If there was one place we could be right now I would definitely pick Broome! Sunsets here were so beautiful. Loved Cable Beach and the entire Indian Ocean coastline. Thanks for reading and commenting.